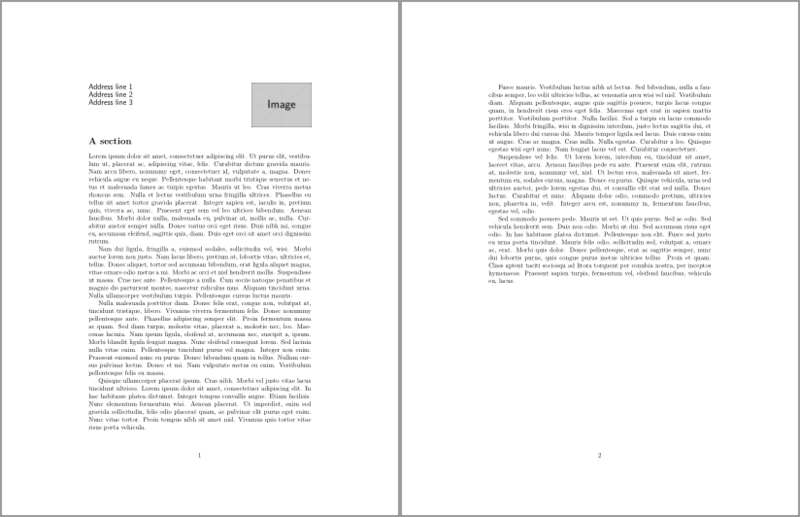 With this approach, the text on page 2 starts below where the header would be if it were included on this page. How do I get the text to start at the "top" of page 2 instead? Don't consider the content at the top of page 1 as being a header. Instead, set it as part of a regular document. That way you don't have to worry about influencing the header space (or \headheight) and how it may affect subsequent pages. The above solution is independent of fancyhdr or geometry, so you can add that without affecting the resulting output/layout. A neater solution could make use of the geometry package to change the page layout of the first page, but for a simple situation like this I think it would be overkill.